Please join us on Friday, November 2, 2018, 12:00-1:00PM for our next monthly luncheon at the Citrus Club with speaker, Vice President, Disney’s Animal Kingdom ThemePark, Djuan Rivers. 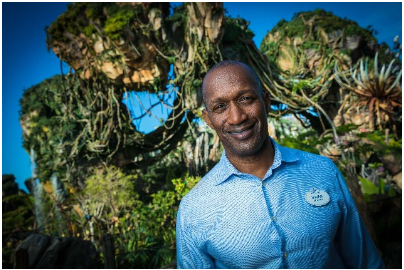 Mr. Rivers has led a Cast of more than 6,000 since September 2014, creating one-of-a-kind Disney experiences for millions of guests every year. Under his leadership, the park has just completed the largest expansion in its history. With almost 30 years of leadership experience, Djuan began his Disney management career on the opening team of Disney’s Grand Floridian Resort and Spa in 1988. Since that time, he has held numerous Executive positions at The Walt Disney Company including Director of Operations for Disney’s Reservation Center, General Manager of Disney’s Wilderness Lodge Resort, General Manager of Disney’s All-Star Resorts, and Vice President of Downtown Disney. Djuan’s diverse operations background also includes being part of the Disney Cruise Line organization as the hotel Director onboard the Disney Magic and Disney Wonder. Throughout his career, he has assisted with the opening of six resorts in Florida, three resorts at Disneyland Paris and was the opening Vice President of Aulani, A Disney Resort & Spa, the first Disney vacation destination in Hawaii. Prior to coming to Disney’s Animal Kingdom Theme Park, Djuan was the Vice President, Hotels and Conventions at Disneyland Paris. To RSVP, please complete your luncheon reservation here no later than midnight, Tuesday, October 30, 2018, to ensure sufficient seating. Luncheon check-in begins at 11:30 a.m. and the luncheon program will begin promptly at Noon. Cancellations must be received no later than this same time (via email at cfawl.reserve@gmail.com). Because the Citrus Club charges CFAWL according to the total RSVP number, and CFAWL is a non-profit organization which does not have the funds necessary to absorb luncheon costs, all who RSVP but do not cancel timely and do not attend the lunch will be invoiced in the amount of $30.00/person. We appreciate your understanding.